Spring has come to Colorado bringing blooms and rain showers, and of course the young wildlife of the year. As birds and mammals give birth, Colorado Parks and Wildlife wants to remind citizens that newborn wildlife may be found in backyards, along trails, or in open spaces. The best course of action is to leave them alone. 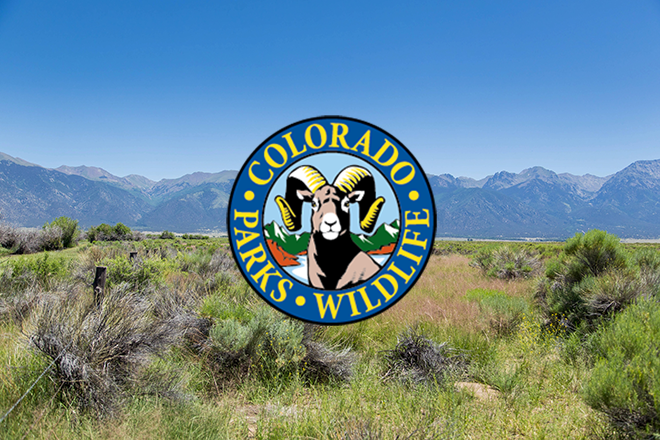 Each year, Colorado Parks and Wildlife receives scores of calls from concerned humans about wildlife that has been "abandoned" by adult animals. Many are tempted to "help" a young animal by picking it up or trying to feed it, however it is critical that people understand there is no substitute for their natural parents. Wildlife experts agree that it is quite normal for adult animals to leave their young in a safe place while they go forage for food. And often baby birds are learning to fly, near their nests when they are deemed "abandoned." While well-meaning people sometimes gather up this baby wildlife and bring them to wildlife rehabilitation facilities, it is often the wrong thing to do. "Baby mammals are scentless to prevent predators from finding them," said Janet George, senior terrestrial biologist for CPW. "When humans touch these animals, they are imparting them with a scent their adults will not recognize or even fear. This can result in true abandonment of healthy offspring." Because birds do not have a highly-developed sense of smell, baby birds are a different story. They can be picked up and moved out of harm's way or placed back in the nest if they are songbirds. However, do not try this with raptors! Great-horned owls and other raptors are territorial and have been known to fly at humans seen as a threat to their young. If you find young wildlife, enjoy a quick glimpse, leave the animal where it is, and keep pets out of the area. Quietly observe the animal from a distance using binoculars and don't hover so close that the wild parents are afraid to return to the area. "If 24 hours go by and the parent does not return, or the young animal appears sick and weak, it is possible the newborn was abandoned or the parent is dead (hit by a car, for example)," said Jenny Campbell, customer service expert with CPW. "Call our office and we will work with our volunteer transport teams to get animals to a certified wildlife rehabilitation center to get aid for the wildlife if possible. Don't move the animal yourself!" Donna Ralph of the non-profit Ellicott Wildlife Rehabilitation Center agrees. "Many of the animals we get should have never been picked up in the first place," said Ralph. "They would have had a better chance for survival if left in the care of the parent animal." "The sooner the animal can be released back to where it came from the better," she explained. "Make sure you provide your contact information so we can let it go in the same place you found it." Ralph said her center has already taken in many small mammals this year including several fox kits. "Baby foxes don't look like most people would expect them to look like. They are very small, very dark (almost black) and appear to be very kitten like. People who find them think they might be baby raccoons, skunks, or something else." Ralph's advice: Don't try to feed them. Don't put anything into their mouths. 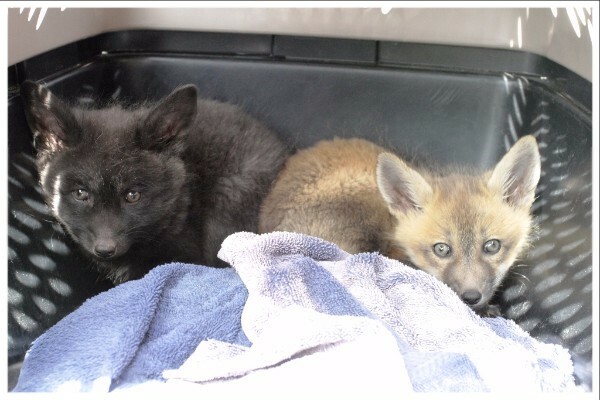 Contact the CPW, a veterinarian, or licensed wildlife rehabilitator to give these babies the care they need. "Whatever you do, don't try to keep the animal as a pet," she said. "It is illegal to keep wild animals in captivity unless you are a licensed wildlife rehabilitator." In addition to potential harm for wildlife, humans need to recognize the potential harm to them, as well. There can be risks associated with the handling of wildlife animals, including disease transmission of rabies, distemper or other illnesses. Wildlife can also carry fleas that might subsequently spread disease to humans or pets. Finally, it is imperative for Coloradans to understand that it is illegal to own most wildlife in Colorado. People can avoid a great deal of heartache if they don't "adopt" the cute baby raccoon or skunk. Sadly, human-raised and hand-fed animals are rarely returned to the wild due to their lack of survival skills or imprint on humans. Licensed wildlife rehabilitators are trained to use methods that will give a wild animal the best chance of surviving upon release.